Art lovers will feel at home at this hotel overlooking the Tjuvholmen canals and Oslofjord. Not only is it next to modern art at the Astrup Fearnley Museum, but it also has a curator who hand-picks works for every room. 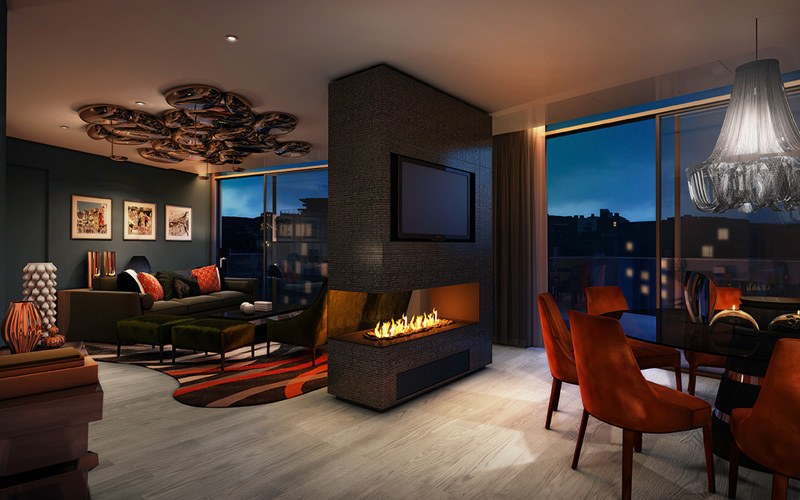 Each has a strong design element, with furnishings by the likes of Antonio Citterio and Tom Dixon, plus there’s a roof garden and a posh spa. This city centre hotel hasn’t been open long, but it quickly shot to the number one spot on TripAdvisor where people are no doubt impressed by the bright, modern (if compact) rooms and an eighth-floor guest lounge with views of the Royal Palace Park, as well as the free coffee and cake. Downstairs, there’s a buzzy brasserie where weekend brunch has become particularly popular, plus there’s an expansive gym with city views. 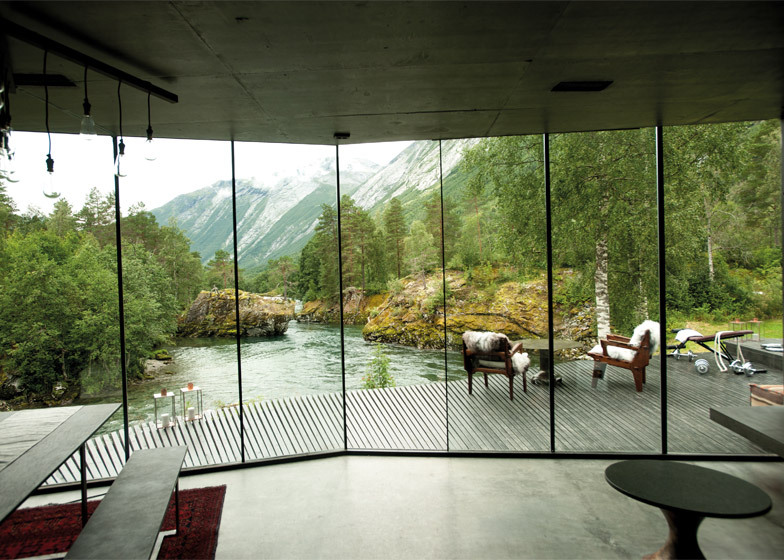 Film director Alex Garland was so impressed with this central Norway hotel that he set most of his latest movie Ex Machina here. The script called for a tree-lined glacial landscape with ultramodern buildings — and the Juvet offers just that: a series of seven concrete, cubist rooms with floor-to-ceiling mirrored windows surrounded by pine trees, plus two wooden “bird nesting boxes” for single travellers. Each is darkened inside to allow for perfect vistas of the surrounding forest, plus there’s a riverside spa, a central hub at a 19th-century farmhouse, and dining in a converted barn. In the 1800s Tromsø was known as the Paris of the North — not because its waterside setting is anything like the French capital, but because visitors thought the locals were unexpectedly sophisticated. That tradition continues today in hotels such as this hypermodern glass building which opened last year. Cool rooms aside, highlights of a stay include Manhattan-style dining at a Marcus Samuelssonrestaurant, and an 11th-floor bar with city views. Take a trip around the world with a stay at this chic hotel on the edge of the Jotunheimen National Park; rooms include designs from France, Holland and Iceland and suites themed on London, Rome and New York. It’s on a vast estate offering dog sledding and cross-country skiing in winter, and canoeing and hiking in summer. There’s also a restaurant with a wood-burning stove, and an apartment for larger parties. JAMES ELLIS is a former travel editor at Metro. He now writes for The Times.